The ice on the lake is starting to give up what it had captured as it first started freezing. 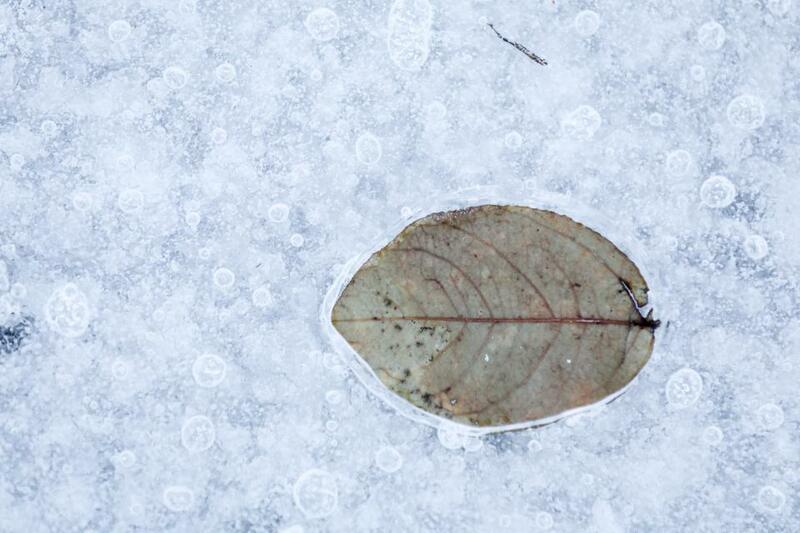 The colors of the ice and the leaf, scream "Spring is on it's way." Thankful for that! Canon Mark lV, Canon 70-200. Shutter speed 1/50, F4, 185mm, ISO 400.